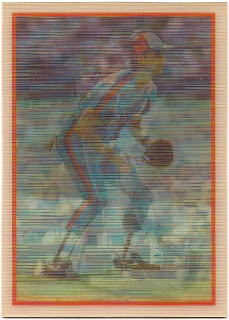 Card Review: 4.6 In retrospect, Sportsflics made some terrible looking cards. 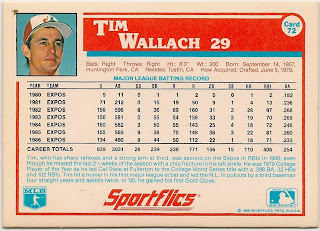 The novelty of them hasn't aged very well. However that doesn't change the fact that as a seven year old I thought they were one coolest things ever produced. 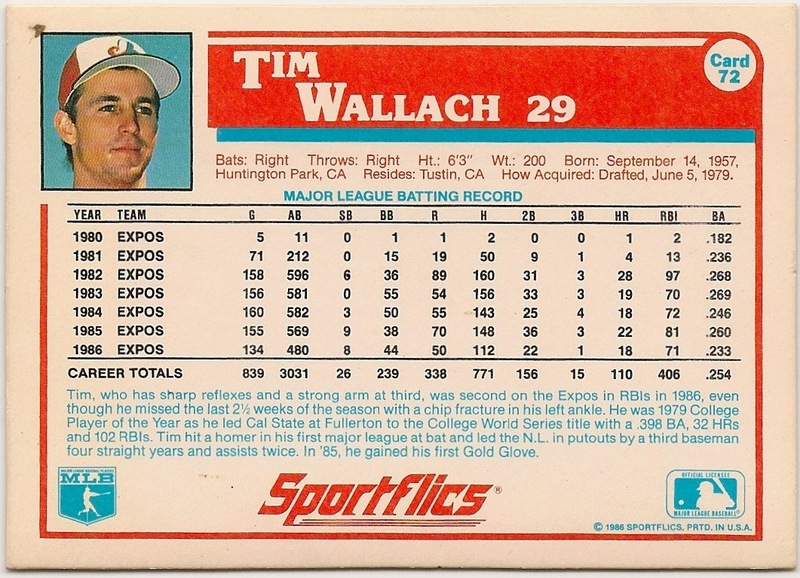 Fun Facts: On May 4, 1987 Tim Wallach hit 3 home-runs and drove in 6 runs in a 10-7 loss in Atlanta.